At Killoughteen N.S. we strive to create a community for learning, where students, parents and staff are joined in the pursuit of academic excellence and personal growth in a caring, courteous and committed environment. We seek to develop each student’s full potential through a challenging and diversified curriculum and a commitment to intellectual freedom. We will teach basic tasks, foster creativity and critical thinking and provide a foundation for life-long learning. We will nourish our student’s emotional and spiritual lives and guide their social development, instilling in them an appreciation of self-worth, of individual differences and of global interdependence. We will help them to manage freedom and to act ethically so that each may become a responsible, contributing member of society. Killoughteen National School is a rural, co-educational school, under the patronage of the Catholic Bishop of Limerick. Killoughteen National School is a busy rural school located in the Parish of Newcastle West. It currently accommodates one hundred and sixty two pupils in its community striding toward academic excellence. 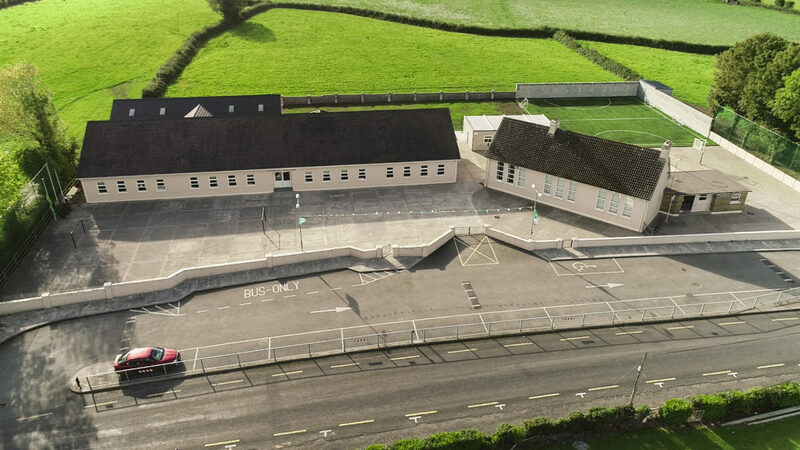 It is located along the primary route from Limerick to Kerry and in recent years has become a very modern, well equipped centre of education for students in the parish of Newcastle West and the surrounding areas. The school’s history is equally as important and has never been previously recorded in this manner. The first means of education in the Killoughteen area was in a local hedge school located on the current school road closer to the now N21, the primary Limerick to Killarney road. Children in the hedge school were educated by headmaster Paddy Andrews. 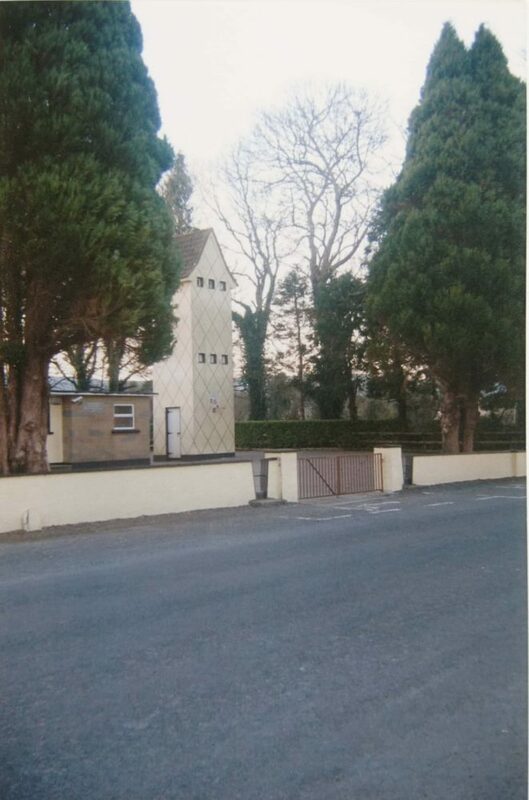 The site of the hedge school is now over grown but a photograph taken by current student Eimear Dore shows the site of the hedge school from the road. When the hedge school was terminated the first educational setting on the current site of Killoughteen National School was built in 1843, it was a long rectangular building with 2 doors. The school was said to have approximately one hundred and forty pupils when it was opened. This building served its purpose for over one hundred years until the, what is now known as the Old School was built in 1963. A highly sought after daily role was fetching pails of water from the well. This job involved walking down the road to the well which was located within walking distance from the local shop where the two lucky children of each day used to visit while on their travels for sweets to prepare them for the rest of the school day. The first teacher in the school was a man called David Collins. Collins later became engaged in an argument with Dean Coll who was first appointed to the Parish of Newcastle West in 1828 and had to resign his post. David Collins was replaced by Master Dunne who was a controversial figure at the time. Dunne was said to be known better by the people outside of Newcastle West than the people of the parish. He would go to wakes of people in the neighbouring parishes and tell tales and stories but never attend such an event within the parish. Dunne had to leave his post after making some controversial remarks about the parish priest. At this time, all the students were taken out of the school and educated in a cottage at a cottage at the bottom of Billy Powers land. Dunne stayed in the school with little or no pupils for a while and received payment, before leaving the school. The school was said to be run by a Family of Hestins’ who migrated from Mayo down to Limerick. Their name got changed to the modern version we now know as Histon through the Limerick articulation. Stephen Berkery (Spelt with a different variation of the name) was the next headmaster of Killoughteen National School. Berkery was said to be a very simple and religious man. A tale told about him was that he kept calves at his lodgings on the school grounds, one day one of the calves became sick and died so two students said they could cure the calf, and spent the whole day massaging the calf until it was time to leave school that day. Even though the calf had died before break time. He was a great teller of anecdotal stories to his classes. The first date recorded for a principal in Killoughteen National School was in 1906 when Dan Hynes became headmaster. He stayed in the role until he died in 1908 after swallowing poison. Hynes was a huge believer in teaching Philosophy particularly the study of Plato’s works. After Master Hynes came Harry Musgrave. He loved to study nature and told the children many tales about events he had seen in nature in particular stories about the fox. Robert (Bob) Foley took up the principal role after Master Hynes. He was from Rinn a Gaeltacht region in County Waterford. He was first brought to the school in 1917 to teach the children Irish as they had no formal education in the language previous to this. Bob Foley raised his family on the school grounds residing in the principal’s residence on site. Robert Foley’s daughter Mary Ita (May) Foley became his teachers assistant in 1927 and stayed in her role until 1931 when she got married to Tom Keegan a Tipperary man. When May Foley got married, she could no longer continue practising as a teacher’s assistant so Bob’s other daughter Nora took up the role in 1931, she then got married and became Mrs. Brouder. Master Foley left at the beginning of 1937 and a substitute by the name of Mr. Noonan was put in charge of the school while Master Breathnach (Walsh) who was going to eventually take up the role of headmaster on the 1st of July 1937 finished his 5 years’ service in the Courtenay Boys school in Newcastle West, which was required at the time before you could become headmaster of a school like Killoughteen with an average of 65 pupils. During the war years paper and fuel ran short in the school. So Cannon Hannon who was in the Parish of Newcastle at the time got 2 rows of beech trees at the back of the school cut down by local men. The trees were brought to the chapel in Newcastle West and sent to the furnace to make the fuel to heat the school and paper for the kids to write on. In 1945 the average number of pupils in the school grew to one hundred so on the 1st of October 1950 Mrs. Woulfe was appointed as the third teacher at the school, Master Breathnach being in charge with Mrs. Brouder still working as his assistant. Mrs. Brouder died in 1958 and there wasn’t enough children attending the school to hire a replacement so the school carried on as a two teacher school once again. In 1963 Killoughteen National School, moved into what is now known as the Old School as previously mentioned. 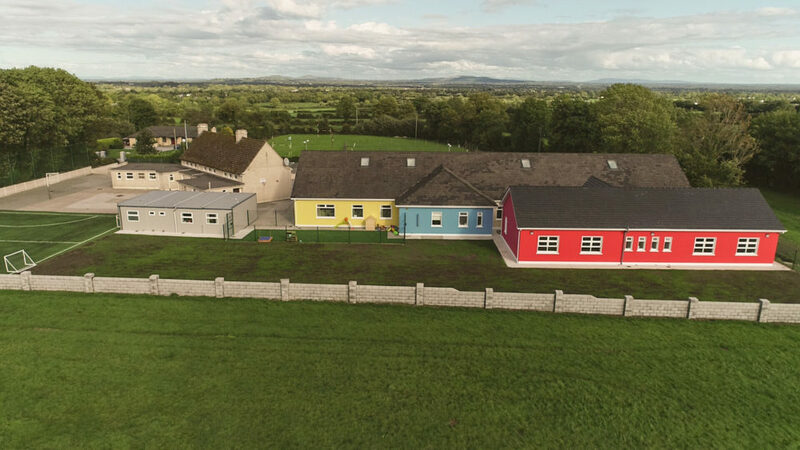 It was built with three rooms as requested by the parents even after objections by the Department of Education who only wanted two rooms to be built. The Department then lowered the average number of pupils required for the school to recruit a third teacher in 1968 so in March Julia McEnery, who is a granddaughter of Master Foley previous headmaster of the school. Master Breathnach had to leave his post in 1978 so Mrs. Woulfe took up the Principal role until 1984 when Julia McEnery took over as principal with Ms. Mairead Carr appointed as her assistant. Ms. Carr stayed in the school for three years until she took a career break in 1987. Then Ena Kearney was appointed as teacher in Killoughteen in 1987. Mrs. McEnery retired in 1998 and the school continued with Mrs. Kearney as principal and Mrs. O’ Doherty as assistant. Then in 2000 Mrs. Wallace was appointed as a teaching assistant and took up the role of learning support teacher in the early 2000’s. In the past number of years there has been a large population of teachers introduced to the school to mirror the growing number of pupils in the school community in recent years. The introduction of the Rainbow Class and the Pre-School should aid the school to increase the number of students in the school further in the next few years. In 2010 the new school house opened in Killoughteen after construction started four years previous. The new school house boasted four modern classrooms. In 2014 Mrs. Kearney retired and handed the principals role to Mr. Curtin, who has since further extended the new school adding another two mainstream classrooms to the school in 2017 and an all-weather astro-turf pitch to its list of modern educational resources which aid the ten teachers in the school with their daily work. These renovations give us the school we see today and plans in place for further exciting extensions. Please see photos of the school below, hedge-school site (currently), old school built in 1963, school built in 2010, extensions in 2017 and astro-turf pitch. Researched and written by Liam Hough. Many thanks to Noel O Connor, Stephen O Donovan, Ena Kearney and Julia McEnery for helping with this project.